Welcome to the Big Bed Quilt-Along! We're banding together to share tips and motivation to finish a quilt for a large bed. Posts will range from basic sewing advice to strategies for organizing your progress. No one can make this happen for us, but together we're stronger. smarter and bound to have more fun. 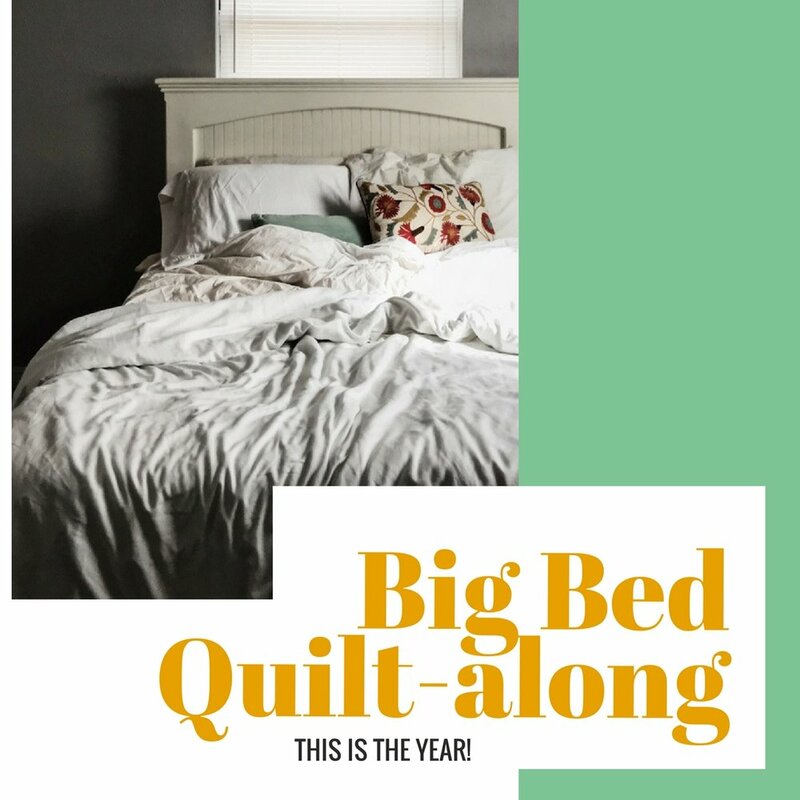 This is the year of the big bed quilt! Here's our schedule at a glance. Some of us are starting from scratch and others hope to quilt and bind an already-finished top. Depending upon your goals, the early quilt-along posts may not pertain. Then again, they could be helpful for your next big bed quilt. a Quilt for your bed? Let's help each other! You're invited to share your advice throughout the quilt-along. Each month I'll collect your tips and share a selection of ideas in the quilt-along posts. Collecting tips now on our January topics. Do you have a pattern to recommend? Maybe a favorite bed quilt pattern or one that's easy and/or quick? Any suggestions on choosing colors or planning for quilt size? If your tips are unique or are quoted directly, I'll credit you with a link to your social media account, if desired.